Despite everyone’s best efforts, teeth often become damaged due to decay or injury, and even the smallest flaw can have a big impact on both your oral health and your self-confidence. With our restorative services, Dr. Cher Rich and our team can fix even the most damaged teeth and help our patients get their complete smiles back. Are you dealing with teeth that need to be repaired? Be sure to contact our office today to discuss your restorative options. 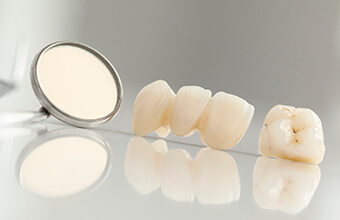 When it comes to restoring a smile, two of the most reliable and trusted solutions are traditional crowns and bridges. Whether you have a single tooth or multiple missing teeth that need repair, they can provide a strong, natural-looking restoration that will make your smile healthy, beautiful, and functional once again. A crown can be used to repair a damaged tooth, strengthen a weakened tooth, or even enhance a tooth cosmetically, while a bridge can quickly fill in the gaps in your smile. Typically, you can get a completely custom-made crown or bridge in just 2 visits to our office. With the proper maintenance, they can easily last for 10 years or more. If you’d like to learn a little bit more about how crowns work, be sure to click on the link below. The solution your smile needs is only a few visits away! In the past, if you had a small cavity or slightly damaged tooth, your dentist would use a silver/amalgam filling to fix it. Despite restoring your tooth’s structural integrity, they marred your smile with thick gray lines that would always stick out whenever you spoke, ate, or laughed. Plus, much of your tooth needed to be removed to place them, which made them much more likely to break in the future. 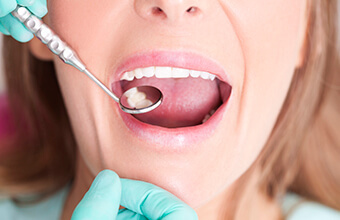 Fortunately, you now have a better option: tooth-colored fillings. Rather than metal, tooth-colored fillings are made of a plastic-based composite resin. This material bonds directly to your tooth enamel unlike traditional fillings, meaning that more of your natural tooth’s strength can be preserved when placing them. Also, as the name implies, they can be specially shaded to seamlessly blend within your smile, giving you the best of both functionality and aesthetics with a single treatment. If you currently have metal fillings, be sure to ask Dr. Rich about replacing them with safe and effective tooth-colored fillings. If you are missing multiple teeth throughout your mouth or even an entire arch, dentures are one of the quickest and most cost-effective ways to replace them. 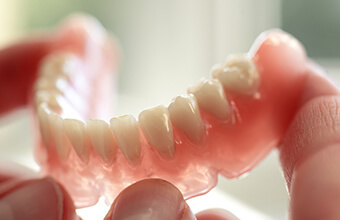 While they are still made of a gum-colored acrylic base attached to prosthetic teeth, modern day dentures are much more comfortable and natural-looking than the ones from past generations. A partial denture can be used to replace multiple missing teeth and fit within your smile like a puzzle piece, while full dentures can completely replace an entire arch.